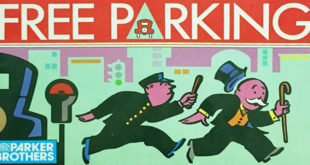 For decades Monopoly had been an extremely popular board game for many players of all ages, and in 1985 Parker Brothers decided to make a spin-off of the original Monopoly by making a board game that took place only on the famous Boardwalk space. By landing on Boardwalk in Monopoly it would always be the most expensive space for a player to either buy or pay taxes to. Now with Advance to Boardwalk players would play to become the richest builder on the Boardwalk. Advance to Boardwalk is for 2 to 4 players ages 8 and up. Advance to Boardwalk contains a game board that isn’t similar to a Monopoly board, 80 hotel units, 20 of 4 different colors, 2 normal numbered dice, 1 color die, 28 Fortune Cards, 20 Property Cards, and 4 tokens. These tokens complement the Boardwalk theme by featuring a Baby Buggy, a Roller Skate, a Sail Boat and a Moped. The player who owns the properties with the highest total value, millions of dollars worth, will win the game. In the event of a tie whoever owns the most properties will win. 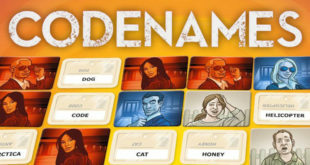 The Property Cards are sorted by color and are placed opposite the matching color and the property value on the game board. The Fortune Cards are shuffled and placed face down in the space on the game board that reads “Fortune Card Draw Pile”. Each player will draw 2 Fortune Cards from the top of the deck, look at them, and place them face down in front of him or her for use later on. Whoever has the highest number off a dice roll will go first. Hotel units are distributed evenly depending on how many players are involved. In a 2-player game 20 units are given to each player. In a 3-player game 16 units are given to each player. 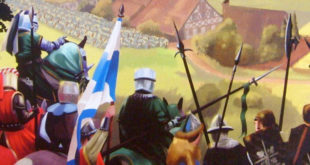 In a 4-player game 14 units are given to each player. Build a unit if you can. If the color die turns up “F”, ignore the 2 numbered dice and draw a Fortune Card. Take a Property Card whenever possible. Move your token and any opponent’s token if necessary. Play a Fortune Card and follow its directions. Most Fortune Cards will have different directions. At the end of your turn pass the 3 dice to the player on your left. The Color Die contains 4 colors. This die also has 2 letters in “F” and “W”. If the die comes up F, then you must draw a Fortune Card immediately. If the die comes up W, as in Wild, then you can choose to build a unit on any one color zone. The amount of money that a player has to work with is determined by dice rolls. For example if a player rolls a 3 and 4 on the numbered dice, and the color die turns up blue, then the player will be given $7 Million worth of property to work with on the Blue Color Zone. The player can divide the building costs between 2 spaces, $3 Million for one space and $4 Million for another. Alternatively the player can split the costs between 3 spaces, $3 Million for one space, and $2 Million for two other spaces. The player can build on any vacant property at one time, and can build more than one unit on an occupied property, on top of a hotel on units previously built by an opponent. The player can also build for less than the sum of the dice roll, but he or she must build at least one unit on a turn, unless an F is rolled on the color die. The main question in Advance to Boardwalk would be who owns the property. If there is a tie between the number of units players have on a hotel, the one whose unit is closest to the bottom of the hotel will be declared the property owner. The game officially ends when players run out of hotel properties to build on. From here the scores are tallied to determine who wins the game. 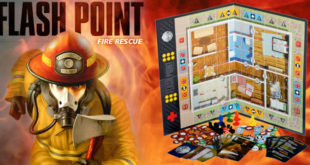 Though it’s not as popular as the original game of Monopoly, if you can find Advance to Boardwalk and can purchase it, then you have found a nice hidden gem of a board game. No matter how experienced players are in Monopoly, it doesn’t take much experience to get familiar with Advance to Boardwalk. You will find some similarities between these two games but the game mechanics are noticeably different. 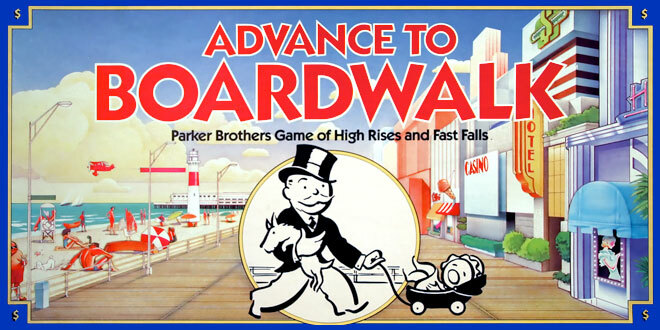 If you like Monopoly and want a change of pace, then why not Advance to Boardwalk?